Thank you for joining us at OWN IT 2018! 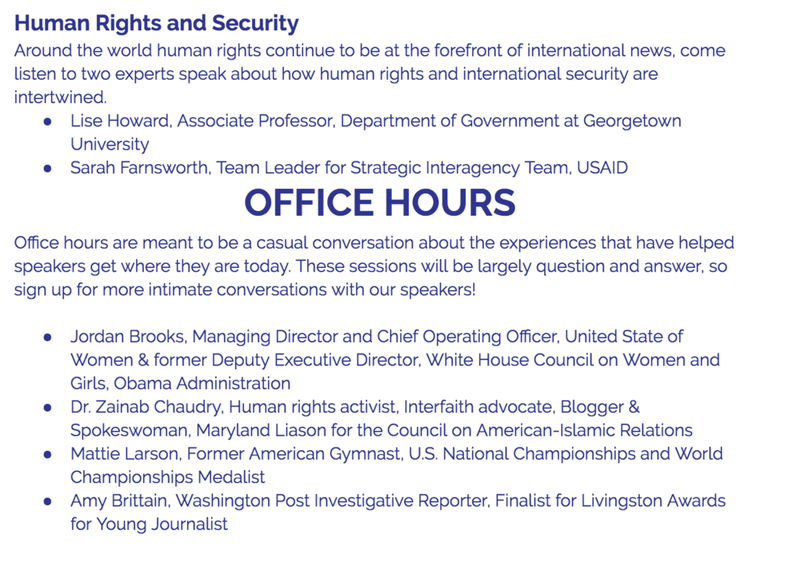 The day is going to be packed with inspiring speakers, game-changing conversations, and unforgettable moments. We have over 100 phenomenal, brilliant speakers coming from all fields and walks of life. 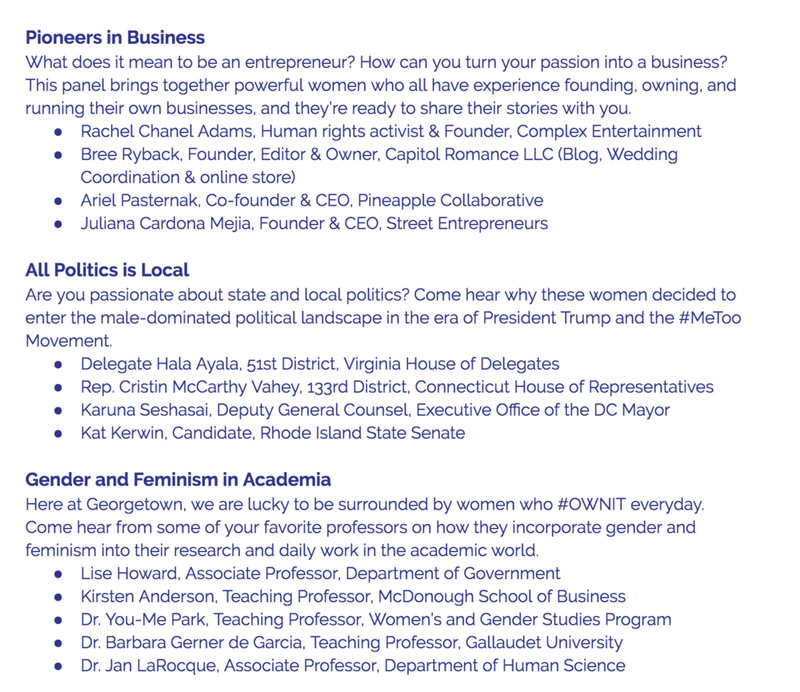 Breakout sessions will give you the opportunity to engage with these speakers in a more intimate setting. Workshops are hands-on sessions with the goal of teaching a singular skill or skill set and demonstrating how it relates to success or leadership. These sessions will range from 10-60 people and be more interactive, rather than lecture-style. Panel discussions are conversations centered around a specific topic. Speakers will discuss their experiences within the subject area as a woman and leader and will draw heavily from personal experiences and real-world examples. Breakout panel capacity will range from 10-80 people. Office hours are casual conversations with a small group (max. 10) about the speaker’s personal and professional experiences. Attendees and the speaker will have the hour to discuss whatever they’d like, so participants should possess a distinguished interest in the life and work of the speaker. You will receive another email on Wednesday, March 21st with a link to breakout session sign-ups. They will be recorded on a first-come-first-serve basis, so keep an eye out, and remember that you can only attend one panel per session! Please email ownitsummit@gmail.com with any questions or concerns.